Here's an interview I've been sitting on for ages that I hope you all get a kick out of. As part of 2017's Annecy coverage I got to meet three folks who've been on my interview wish-list for a good long while now: Creative duo Becky & Joe (who created the brilliant, Rainbow-meets-Requiem For A Dream horror series Don't Hug Me I'm Scared to tremendous viral success) recently brought their penchant for puppetry to The Amazing World of Gumball's season 5 episode The Puppets, and MANOMAN director Simon Cartwright of Cartwright Gantz who directed the accompanying webseries Waiting For Gumball (Simon previously appeared on episode 32 of the podcast). Also at this junket were James Stevenson Bretton and Tom Stuart of Blink Industries as well as Ben Bocquelet (marking his second Lightbox appearance) and Mic Graves, Gumball's series creator and director respectively. I'm still a little in the dark as to whether or not The Puppets and Waiting For Gumball were released/broadcast here in the UK, but they definitely came out in the States a few months' back. Either way they're great fun and it was a treat to chat with everyone involved. If you dig it you might want to check out the other interviews from this particular junket - with Simon Landrein (guest artist) and Ben Locket (composer). 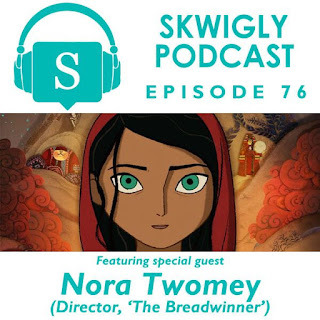 For episode 76 of the Skwigly Animation Podcast I was thrilled to speak with Cartoon Saloon co-founder Nora Twomey, director of the animated feature film adaptation of Deborah Ellis’s The Breadwinner that just got itself an Oscar nomination. Fulfilling a variety of key roles at the studio, Nora’s has served as Creative Director on projects such as preschool series Puffin Rock, as well as co-directing the 2009 feature The Secret of Kells alongside co-founder Tomm Moore, directing the short films From Darkness (2002) and Cúilín Dualach (2004) and serving as Head of Story on Song Of The Sea (2014). Having received its world premiere at the Toronto International Film Festival last September, The Breadwinner has gone on to receive a Golden Globe nomination and multiple nominations for the Annie Awards and the Canadian Screen Awards, winning Best Animation at the Los Angeles Film Critics Association Awards, the Toronto Film Critics Association Awards and Leeds International Film Festival. After a busy 2017, Laura-Beth Cowley's film Boris-Noris which I'm proud to have worked on (loves me some coattails to ride, I do) looks set to have an equally hectic year ahead. On Saturday January 27th it will screen at Edinburgh's Manipulate Festival in a repeat screening of the Bristol Festival of Puppetry's Women in Puppetry and Puppet Animation programme that played a couple of times last year. The screening will take place at 3pm at the Traverse Theatre. As part of their coverage of this year's edition of British Shorts in Berlin (which had the good manners to screen Klementhro on Friday), the fine folks at indie film mag The New Current interviewed me about it*. Have a read here for some wafflings about making indie animated films, managing Skwigly and putting together my book. Elsewhere the new Bertram Fiddle game A Bleaker Predicklement (from pals Rumpus Animation and featuring yours truly attempting a variety of dubious regional accent) has this week expanded its release to include Android, so get downloadin' for Pete's sake! If you want to get caught up then throughout this week you'll be able to get yourself a copy of the first game A Dreadly Business - one of the major case studies of aforementioned book, don'cha know - for free! If that doesn't kick Blue Monday up its blue arse I don't know what will. Hey Ben, it's great to talk to you, how's your 2018 been going so far? Pretty good, thank you. Been wrapping up some freelance work that was on hold over the holidays and been doing some jury work for the British Animation Awards over here which has been fun. I also have a new film that's nearing the finish line so whatever time is left where a normal person would attempt to better themselves or be sociable I'm instead devoting to that. What does it feel for you to be screening your film Klementhro at this years British Shorts in Berlin? Are there any nerves ahead of the screening in Berlin? It's great to be involved, I'd assumed its festival run would have concluded by mid-2017 so it's always gratifying that there are still little spurts of interest here and there. German audiences have often been the best audiences for my films so I hope the Berlin crowd dig it. 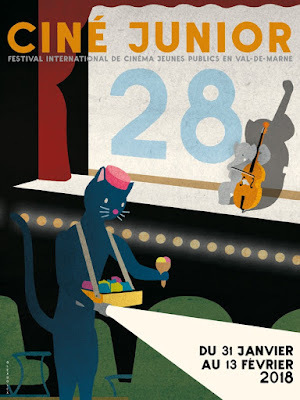 Of course this festival isn't strictly concentrated on animation so it may be drawing in a slightly different audience than the film usually plays to, but hopefully they'll be receptive to the nonsense of it. The nice thing about festivals is when your work plays alongside those of people you admire, and the British Shorts programme has some fabulous recent work by Robert Morgan, Joseph Wallace, Will Anderson and some other animation pals. I'm sure people will get a kick out of what's on offer this year. You've already had a great festival run with Klementhro, what has it been like sharing this film with festival audiences? I actually always assumed it would be divisive at best, so when I'd see it at festivals during its run getting a warm reaction it was quite a surprise. Seeing it in a festival context you can't click away, and the only way it works as a film is if you bear with it through its first half which stretches out an audience's patience pretty much as far as it will go. When the second half breaks away from that repetition there's a sort of sense of relief from the audience so it gets a stronger reaction from that point on. What has been some of the things you've taken from your time showing Klementhro at film festivals? Mainly it gave me a real insight into the current disparity between a festival audience and an online audience. The real divisiveness I had anticipated finally came when it was released online; some people are on board with what kind of beast it is from the get go and seem to like it a lot, and it's gotten a bit of nice exposure on some great sites like Short of the Week, but that's opened it up to, shall we say, less-receptive audiences? By which I mean some people cannot stand it, which a childish part of me finds sort of gratifying (they'll really hate the next film). I totally get why. The way we take in films on our phones or whatever is such a different experience that if you're not in the exact right mood or environment (IE in a dark cinema surrounded by a bunch of convivial people and maybe a couple of drinks in you) you might find Klementhro a little insufferable. Tell me a little bit about Klementhro, how did this film come about? The main motivator to get it done was that at the time (about three years ago) I was writing a book on contemporary indie animation and realised about a third of the way through the first draft that I actually hadn't self-distributed a film in nearly 5 years. So I wanted to put out something new to make sure I wasn't too out of touch, which proved to be a vital exercise as even in such a short period as 5 years there had been so many developments in the world of festival submissions, projection requirements and new platforms for media distribution and self-promotion. So I had a few rough ideas for films to get done, one being a film called Sunscapades that I'm working on now, another half-made film called Bullies that'd been on a shelf for a few years (and may stay there) and a handful of scribbles that sort of made up the world of Klementhro. I picked Klementhro because it was the only one I knew I could conceivably knock out in the two weeks I had available between jobs at the time. By the way, the book is out now. It's called Independent Animation: Developing, Producing and Distributing Your Animated Films. Y'all should check it out, it's full of interviews with some of the best indie animators out there today. Plus it looks good on a shelf and smells nice. What was your inspiration behind this film? I was watching a documentary on the US pharm industry and was doing little speed-doodles of some of the participants. One of them was this curiously serene young man who wore a fishing coat and had his head constantly tilted back. I'd keep doodling variations on that and eventually it morphed into Klementhro. Beyond that there wasn't anything consciously going on in my head, influence-wise, it was more a series of random thoughts that I jotted down and resisted the urge to deviate from, which I'm sure will come as no surprise to anyone who's seen the film. Subconsciously I'm sure a fondness for absurdist comedy and repetition had a role to play. My favourite scene in The Simpsons is Sideshow Bob stepping on rakes for a solid minute. Don Hertzfeldt has an amazing and often overlooked film called Wisdom Teeth that takes forever to play out. A lot of people are great at making that kind of thing simultaneously frustrating and hilarious – Bill Plympton, David Lynch. Klementhro isn't a patch on any of those guys' stuff obviously but I'm sure it partly emerged from my fondness for it. What has been the challenge you've faced bringing this to life? As previously mentioned, resisting the impulse to build on this very basic story and style was a big challenge. To have such rudimentary dialogue and animation in a film goes against every natural impulse as a storyteller and animator, but in my head the whole point was to put this film together as minimally as possible and put it out under a pseudonym so I'd get a completely impartial response from the festival circuit, at least initially. So there were internal gripes I forced myself to push through, like Klementhro only paddling on one side of the raft, or at one point the ghost changes direction and so does the shading, because I've just flipped the asset – that's almost aggressively lazy. I had to say to myself “Don't change it, don't make it better, this is how the world of this film works”. What have been the biggest lessons you've taken from making this film? Given that it was essentially an exercise in reacquainting myself with the world of indie film and animation for the book it definitely outperformed my expectations. So the main take-home would be to always keep a sketchbook nearby, because you never know what ideas have merit, or might reach people, even if it's in a small way. Have you always had a passion for filmmaking and animation? It was on and off, growing up. Really it kicked off in the early 90s when stuff like Ren & Stimpy, The Simpsons and Wallace and Gromit were all making these amazing strides in animation at the same time, yet in completely different directions. Then by the time I was ready to go to university the clearest path to me was graphic design, which morphed into motion graphics. I'd always produce mograph work that would incorporate characters or stories, which isn't really the point, so going into animation for my MA was the logical development. Then alongside being an animation freelancer I gradually drifted into animation research and journalism and now run the largest UK animation magazine site Skwigly with some friends of mine. That's been a very valuable means of keeping the fire stoked as there's so much amazing work being done by new and established animators with the resources currently at our disposal. I'm always fascinated by other people's creative processes and its a privilege to be able to share their insight with our readers and listeners. What inspires your work?When it comes to film and literature I tend to gravitate toward comedy tinged with darkness, but it's a great big hodgepodge and I'm never really sure where things spring from until they're done or near-done. A few years' back I wrote a graphic novel that drew from a dark well, people like Todd Solondz or Chuck Palahniuk, while the film I'm working on now is inspired by Saturday morning cartoons. It tends to vary. But then someone will say all my work reminds them of Family Guy and I'll have a little internal cry. For anyone out there thinking about making their first film what advice would you offer them?Well, if it's an animated film I'd use the opportunity to cynically steer them toward getting a copy of the book, as it collates a great deal of advice on the realities of production and distribution from those with far more impressive filmographies than I. However from my firsthand experience there are two main things I'd recommend – the first is to get started as soon as the idea is there, rather than hold out on, say, funding opportunities, or “the right time”. More and more we're seeing amazing films, with comparable end results/audience responses to big budget studio productions, that people have made in their home studios or bedrooms in their free time. The second is to endeavour to be part of a supportive creative community and invite – don't fear - critical feedback as a film comes together. If it comes from people you trust and respect then the harder truths about where you're going wrong can be the best way to grow as an artist. And finally, what do you hope people will take away from your film?Be wary of ghosts and singing rocks. 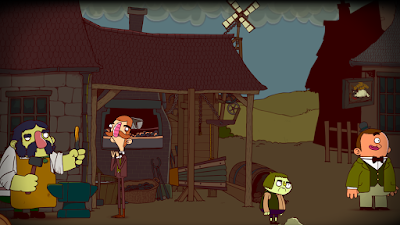 I'm pleasantly surprised to say that, as Sunscapades nears its finish line (for real this time), my previous film Klementhro still has a bit of life in it yet. This coming Friday (12th) it will get its first (and possibly last/only) 2018 screening in Berlin at the 11th Lichtspielklub Short Film Festival (AKA British Shorts), a fantastic-looking event I'm disappointed to not be able to attend in person. The screening will take place at the Sputnik Kino at 7:30pm, click here for more info on what else is playing. Having a skim of the programme it looks like there are some belters representing the animation side of things, including recent work by Robert Morgan, Joseph Wallace, Liam Harris, Sara Barbas and Will Anderson among others, so give it some love if you're in the city. Hopefully over the course of this year I'll be able to do a complete revamp with footage from some of the recent projects I've worked on that I'm not allowed to share just yet. In the meantime this one is structured in much the same way as it's been for the last few years with the addition of some first looks at several scenes from Sunscapades and a couple snippets from stuff like Klementhro and Lendas Animadas. Hope it entertains for a minute and a bit. If it moves you to hire me that'd be even better. I brighten any workplace with my puckish-yet-unobtrusive bon mots and have been told I make a tolerable cuppa. Happy new year, ya filthy animals. Alongside the usual animationey chunks I'll be expectorating into the world over the coming months I'm keen to have 2018 be a year for some new - or, at the very least, unheard - music of mine. Rather than get ahead of myself and outline what I have planned - because whenever I do that on here it pretty much guarantees it won't pan out (remember when Sunscapades was supposedly going to be done by last May?) - I'm first going to tackle the long-overdue expanded digital release of some old albums. 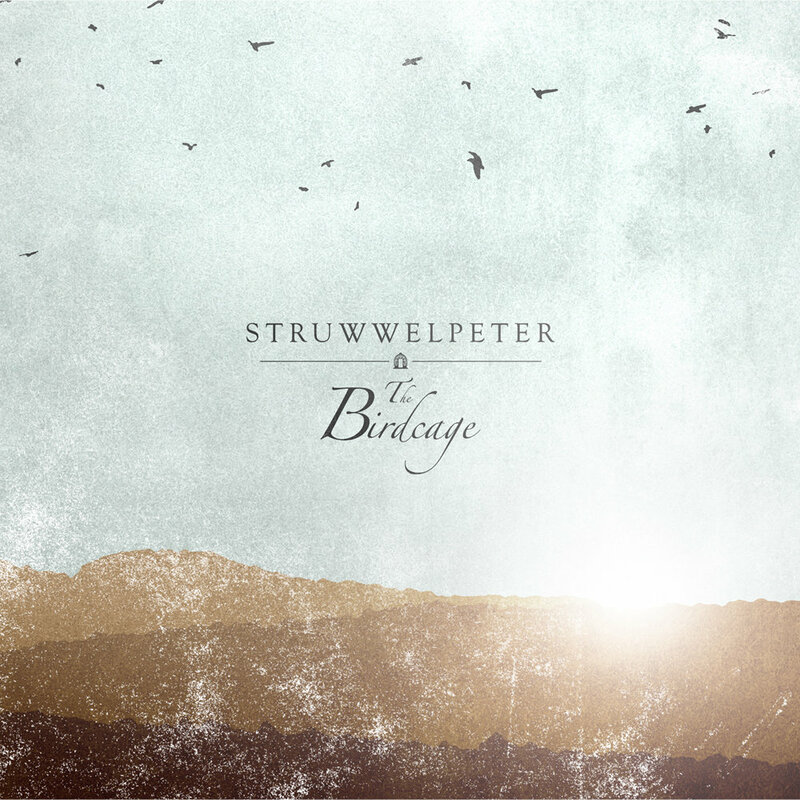 Hopefully some of the other Struwwelpeter albums will see the light of the day as well, which would be nice as a lot of them have been OOP for a fair few years now. I'll play it by ear. In the meantime the original digital release is still available on Bandcamp and, for you old-fogeys, compact disc. Whatever's your pleasure.